When the 8th house is strong, as it is this month (until the 23rd) it is good to detox the mind, the body and the home. It is a time to get rid of excess material in your life – excess possessions (things you no longer need or use), old mental and emotional patterns (that are no longer helpful to you). Purge the unnecessary out of your life and watch ‘resurrection’ happen in your mind, body and affairs. Finances are stressed early in the month, but will improve dramatically after the 23rd. You just need to work harder than usual to achieve your earnings goals. diet is important from the 4th to the 23rd. This is a sexually active period. Regardless of your age or stage in life, there is more of this going on than usual. From a health perspective, overdoing is the danger (especially from the 4th to the 23rd). Listen to your body; it will tell you when enough is enough. 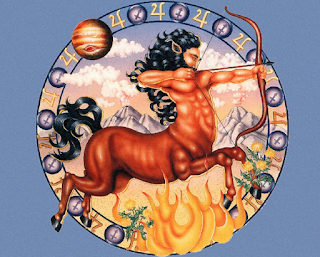 On the 23rd you enter Sagittarius heaven: The power shifts to your 9th house and the cosmos impels you to do what you most love – travelling, expanding your mind, getting more involved in religion and philosophy. You will be a teacher – a mentor – to those below you and a disciple to those above you.